Last year construction engineer and former software developer Shemeer Padinzjharedil (29) was shocked to learn from a poll by the Thomson Reuters Foundation, which rated India as the fourth most dangerous place for women in the world. He felt that there are lots of news reports about crimes against women, but they are not properly documented. So Shemeer decided to act and started to build an Ushahidi based crowdsourced site titled www.maps4aid.com where anyone can report violence against women. While the site is still in it's infancy, reports are being accumulated and mapped on the site which already show some trends: centers of population and urbanized areas report the most violence regardless of the category. 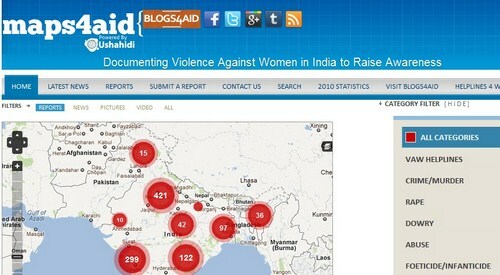 Maps4aid has started another campaign, Blogs4Aid to stop violence against women in India. As a mark of respect to the “Iron Lady of Manipur” Chanu Sharmila's indomitable spirit in fighting for what is right, on March 14, 2012 a special event will be held. A cotton saree with 2000 documented reports of violence against women taken from www.maps4aid.com printed on it. Miniature versions of awareness posters also will be printed on the sarees. A list of bloggers taking part in the event along with their blog entry will also be printed as shown in the image below. 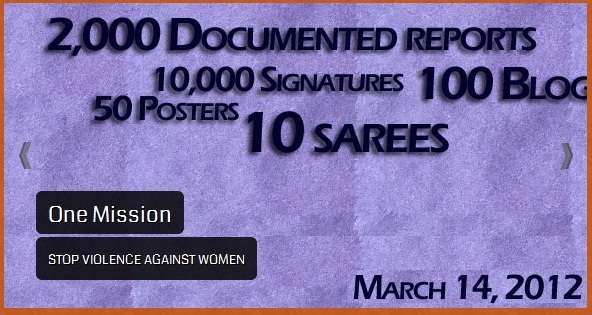 Once printed, the sarees along with a detailed PDF report of the 200o documented incidents of Violence Against Women, 100 Blogs entries in PDF e-book Format and an album collection of the posters will be sent out 10 chosen decision makers in the country. [..] The purpose of this campaign is to raise awareness by involving the online community and to spread the message in a creative and effective way. Here is how you can help this campaign by submitting your stories or writing about it. 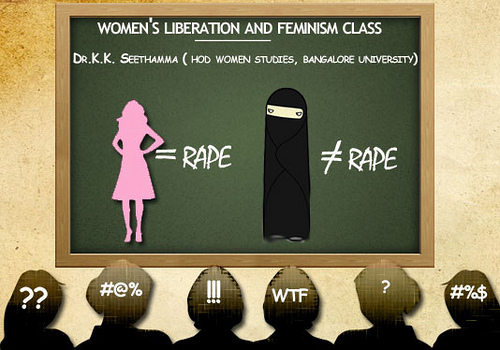 Here are some innovative posters and graphics to go with your campaign. Please follow the campaign's Twitter and Facebook accounts for the latest updates.